Nico Rosberg is (was? whatever) a good Formula One driver. Nico Rosberg is not, however, good at explaining how he became one. He is very confused. Rosberg, the son of 1982 F1 champion Keke Rosberg, thinks his racing skill is almost entirely genetic—like, he popped out of the womb with a wheel in his hands, ready to drive before he could walk. He thinks the same thing about Max Verstappen, whose father was also an F1 driver. 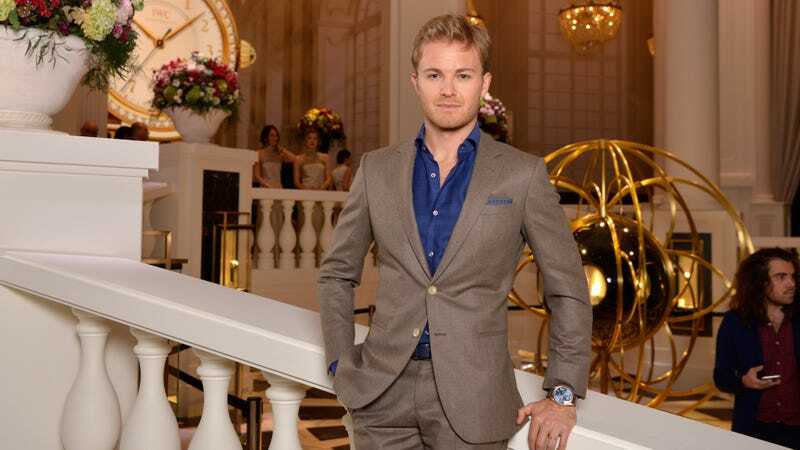 “I just from my dad genetically inherited a natural gift to drive racing cars,” Rosberg, who is now looking at technology startup companies, told an event in London organized by Wired magazine. “I’m a firm believer that genetics are quite a big part of this... I would probably say 66 percent genetics, 33 percent nurtured,” he added. ... “[Verstappen’s] dad (Jos) was a successful driver too and now his son is a successful driver because it’s the genes that pass on,” he added. Nico. I don’t know what genetics classes you’ve been taking, or if you’ve just been reading this on some Wordpress website with a checkerboard background and a red Comic Sans font, but you seem to be a little misled here. Maybe you’re just bored in retirement and trying to get back into the news. Maybe this stems from something deeper. Maybe you think money is genetic if your dad gives it to you. But Nico, you didn’t become so good at driving in open-wheel racing’s top level because of your genetics. Your father was an F1 world champion. You grew up in Monaco, the most millionaire-dense city there is these days. You got in a go-kart at the age most kids start public school. You got so good because your father had the money and connections to get you where you needed to be in the racing world, and you did the rest. That first part is what keeps a lot of “non-genetically talented” racers from making it big time. Nice try, though, Nico. You made a valiant effort to brush aside the nepotistic and wealthy nature of auto racing; your conclusions were just a little out there this time around. Either that, or you actually believe this stuff. In that case, we can’t help you.